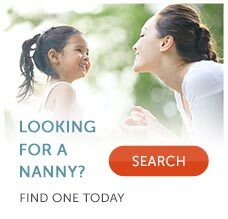 Searching for Nanny Job. Nanny Tips: Arm Yourself Against Nanny Scam. Would you open your door if you knew that the person on the other side was going to take your wallet? Most nannies do everything to educate and protect themselves from harm, yet they let down their defenses when it comes to money. eNannySource.com works hard to protect nannies from scams! The nanny scammer will offer a nanny job without a nanny interview, usually with a high paying salary. The scammer will usually tell the nanny that they are moving to their town. The scammer will send a forged money order or some other form of payment to the nanny as advance payment, to secure her for the job or for purchasing items. When the money arrives, it is for much more than expected. The scammer provides the nanny with instructions to forward the excess money to a third party (but really it's them). After you write your own personal check against your own bank account for the difference or you wire the money straight from your own account to the third-party, you will find out that the money they sent is fraudulent and the bank will require you to PAY BACK all of the money you sent on to the scammer (sometimes in excess of $5,000)! A family wants to hire you without meeting you or even checking your background. Would you hire someone to care for your children whom you have not even met? Anyone who tells you that they will send you money to purchase items for them - toys, video games or a wheelchair. Someone says they are moving to your town, but they are currently out of the country. You are asked to accept any form of payment over the Internet. You are asked for banking information. You are asked to cash a check from someone you don't know. No legitimate employer would send you money up front. If one or more of these apply, you are getting scammed. If you believe you are being scammed or if you are not sure if a job offer is legitimate, immediately stop communicating with the party and email info@enannysource.com for assistance.